Qigong is an area of energy healing that deserves further investigation. Qigong is based on the energy of the human body. The body has a healing energy deep within itself. The goal of some engery therapies is to boost that innate energy to help heal mind and body. Both touch and extreme focus are used by some healing arts to master body energy for healing. The therapies of Qigong accumulate, circulate, and work with Qi (pronounced chi). Often, Qi is associated with deep breathing, but Qi is not limited to deep breathing alone. The higher levels or the more evolved forms of Qi are used to focus on particular energy centers in and around the body. In Chinese, Qi means breath, or “life force.” In Chinese, ‘gong’ means disciplined work. This term was coined in the twentieth-century with the desire to separate the discipline from superstition. “Qigong” also preserves the eminent tradition of the Chinese healing arts. How Qigong is practiced depends on the goals and needs of the individual. Qigong may be practiced as a therapy; to maintain spiritual or physical wellness; and even as part of Chinese martial arts. Some may call upon the qi for different reasons when in different positions in life. Qigong might be used to treat an acute illness, but may be continued as a means of maintaining spiritual and physical health. The Usui system of healing includes Reiki energy healing. The Usui system of healing is named after the Buddhist Monk that developed it in the 20th century. It uses the basis of qi in its therapies to harness the positive energy of the practitioner and pass it on to the client so their body can harness their own power of self-healing. The word Reiki comes from the Japanese words “Rei” (spiritual) and “ki” (energy). Literal translation of “Reiki” means “spiritual life force.” Learn more from Greg Reid, our Reiki Master and certified Q5 practitioner. 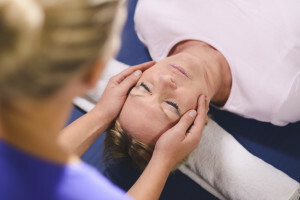 Specific techniques are used to restore and balance the Qi in both Reiki and Usui energy healing. 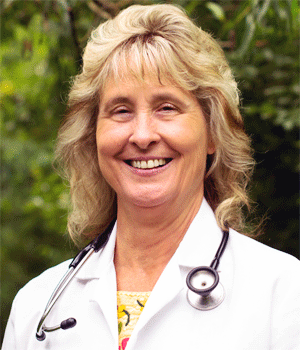 What do YOU Think About Bio-Energy Medicine? Some people have trouble grasping things that they cannot put their hands on. Energy therapies come under much attack and the efficiency is often questioned. Some people say that these so-called forms of therapy are all explained away with science and that they do not have healing properties themselves, and that the healing of such believers comes from elsewhere. Yet, it is undeniable that we are surrounded by invisible energy forces.The success of other forms of energy healing will follow the example of light therapy as a standard treatment in our modern neonatal intensive care units. Hi, and thanks for visiting. You are welcome to share content from this site with a link. Your right about the criticism that healing methods like this come under. In my opinion people need to try things out before they say anything about them. I have never tried reiki therapy but, I am willing to give it a shot. Thanks for sharing.